Thomas J. Armat and C. Francis Jenkins together invented one of the most successful motion picture projectors of their day, and presented projected films for paid admission in September 1895. Armat worked as a clerk in a hardware store for three years until he was eighteen, was then apprenticed to a railway machine shop but soon left to become a book-keeper for the railroad's treasurer's office. He studied at the Mechanics Institute in Richmond, Virginia, and dabbled in inventing, gaining a railway-related patent in June 1894. Intrigued by the Anschütz Tachyscope exhibited at the Chicago World's Fair in 1893, and further prompted by a friend's glowing account of the Edison Kinetoscope, he enrolled at the Bliss School of Electricity in October 1894 to acquire the electrical knowledge necessary to handle the arc lamp that would be needed for successful film projection, and in March 1895 teamed up with classmate Charles Francis Jenkins. (For an account of their work together, see Jenkins entry). Following their shows at the Atlanta Cotton States Exposition, which were financed by Armat (who made a loss), the partners began to argue. There followed years of acrimonious dispute, involving not only patent litigation but also the Franklin Institute and the Smithsonian Institution. Jenkins sold out to Armat after losing the patent case, and negotiating through Kinetoscope agents Raff & Gammon, Armat sold the design of the successful 'beater' movement projector to Thomas Edison. At a press demonstration, Annabelle's dance and other Kinetoscope films were supplemented by a copy of Birt Acres's 1895 Derby. 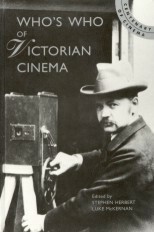 Re-named the Edison Vitascope, the machine was used to project America's first high-profile filmshow at Koster & Bial's Music Hall, New York, on 23 April 1896, with Armat acting as projectionist for the first week. The first programme included Walton & Slavin Burlesque Boxers, Umbrella Dance, and from Britain, Acres's Rough Sea at Dover. 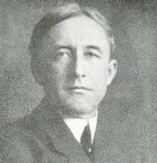 Armat continued to work on the Vitascope throughout 1896 and defended himself against not only Jenkins but, into the early years of the new century, many others whom he considered were infringing his patents, and threatened and fought various litigations against Biograph, Edison and others before eventually becoming part of the Motion Picture Patents Company. In 1947 Armat was one of a small group (William Selig, Albert Smith and George K. Spoor) awarded a Special Academy Award for being of that 'special group of pioneers whose belief in a new medium, and whose contributions to its development, blazed the trail along which the motion picture has progressed, in their lifetime, from obscurity to world-wide fame'.